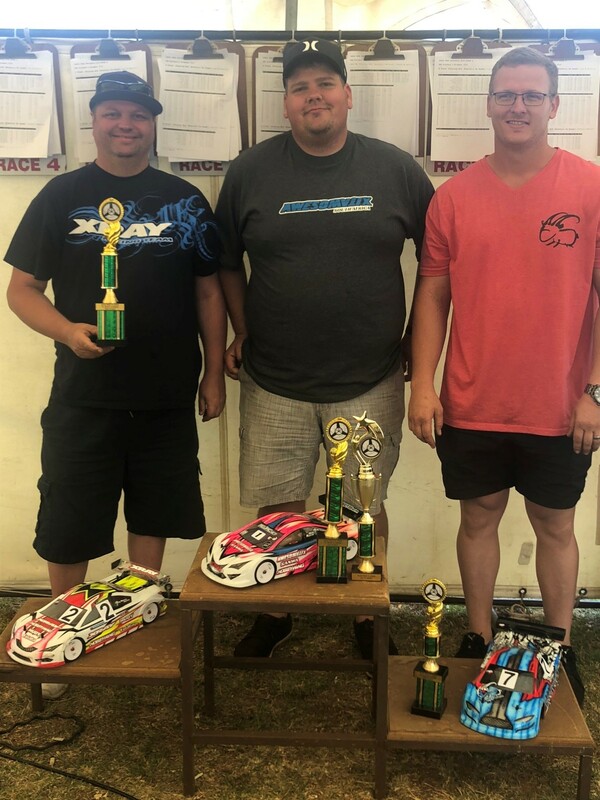 With the successful IFMAR worlds completed, the current champion Hein Kotze, the 4-time champion Jason Hillcoat and other top drivers from the host club KMR changed chassis brand with many drivers racing the new Awesomatix. The controlled practise and previous practise events showed that reaching the A mains was destined for the fast and consistent drivers. 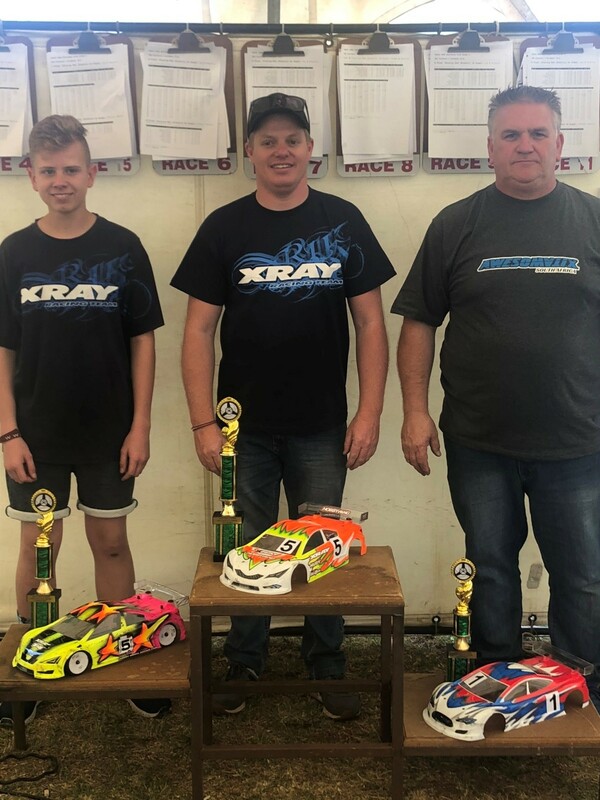 The current champion and the 2018 series leader Hein Kotze dominated the practise and qualification rounds securing a great TQ for Sunday. 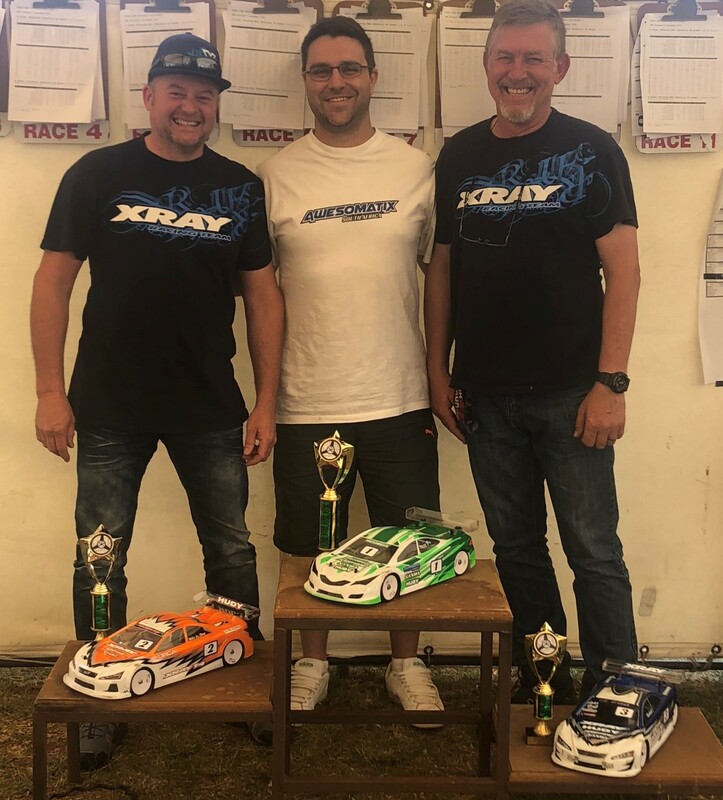 He was closely followed by his Awesomatix team mate Anderton Smith and Xray driver Shaun Schutte securing 3rd and 2nd on the grid respectively. Hein dominated all three finals with Shaun Schutte holding his own in the second position. 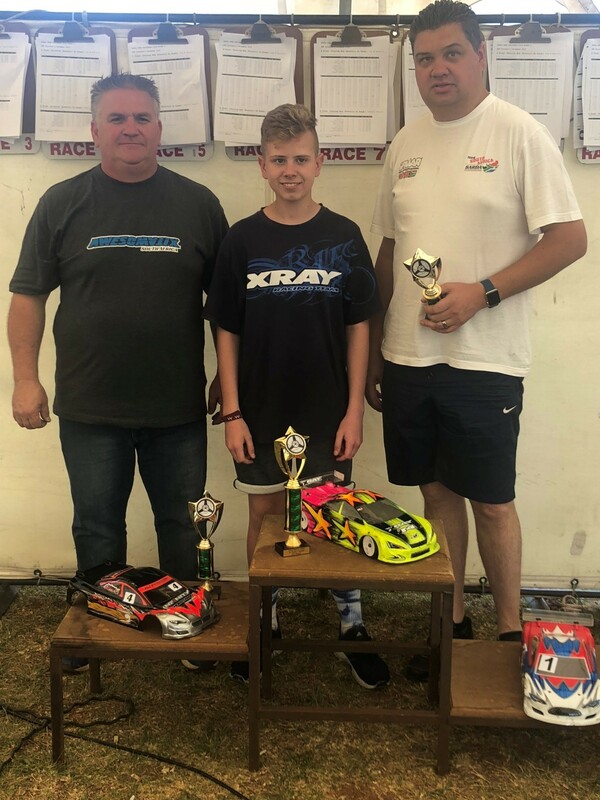 Anderton Smith had some troubles in A1 and A3 and Conrad Liebenberg drove good finals from 7th on the grid to grab the remaining podium spot. This great win gave Hein Kotze his second national championship in a row. 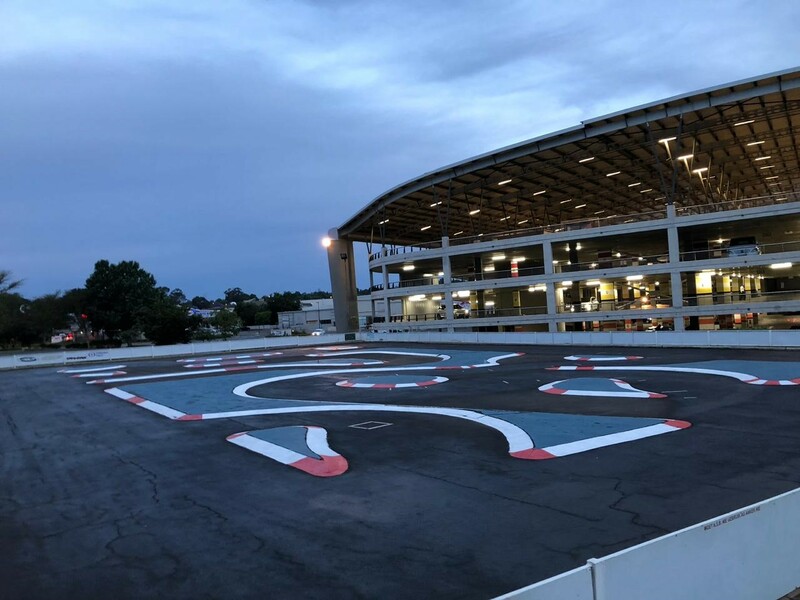 The Pro-stock class promised for a great battle between the championship leader Gunther Cornelius who also changed to Awesomatix and his rival Jonathan Wilken running a new WRC. 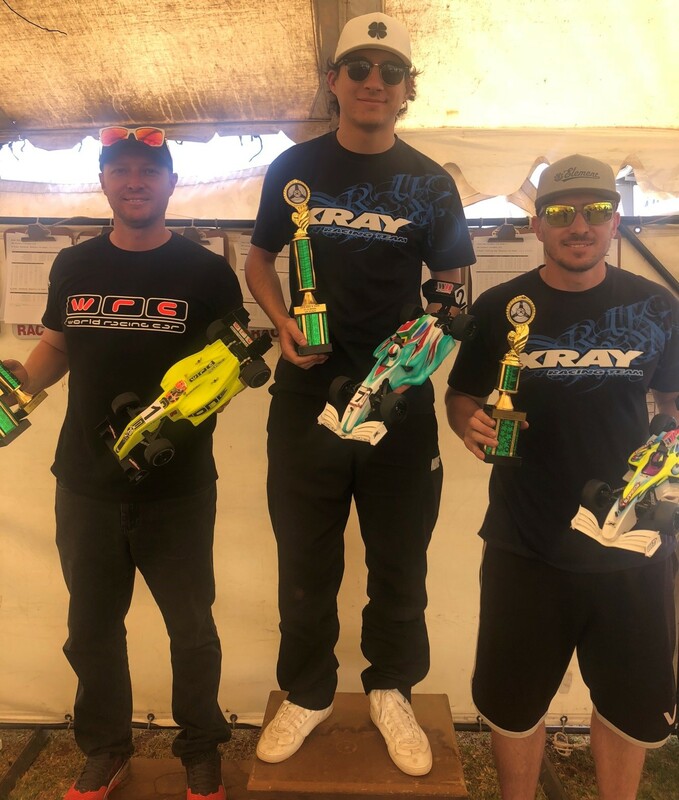 Gunther had some troubles during the qualification rounds and it was Deon Gove who took TQ followed by Anthony Smith and Jonathan Wilken starting form 3rd. Gunther Cornelius decided not the race the finals which opened up the podium. Deon Gove had great A1 and A2 finals which gave him the overall win. It was the young driver Kevin Hatting starting from 4th on the grid who took 2nd place and Anthony Smith finished 3rd for the weekend. 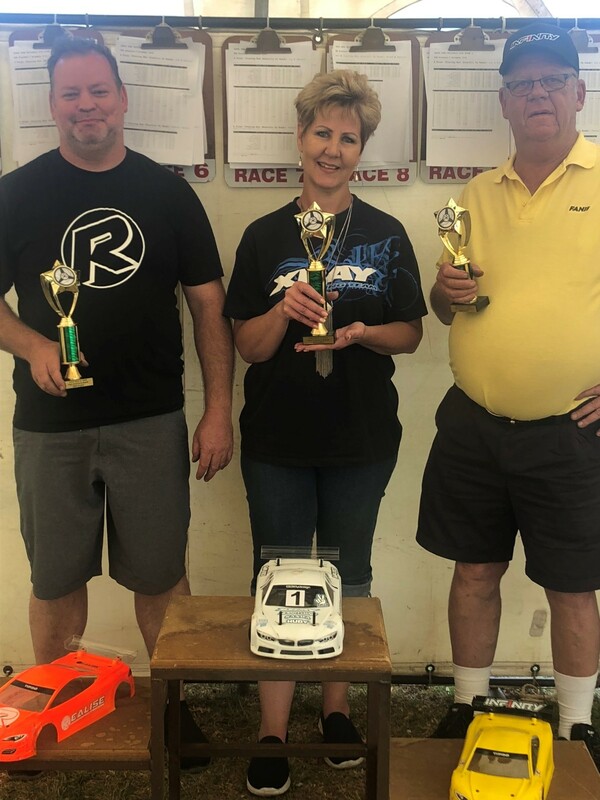 Kevin’s podium also gave him the 2018 championship by 1 point over Gunther Cornelius. The F1 championship was in the hands of Xray driver Pedro de Gouveia with full points in the first two national rounds. In the qualification rounds it was Jonathan Wilken who managed to secure TQ with his new WRC F1. Both of the drivers made some mistakes on the curbs during the finals, but it was Pedro de Gouveia who managed to win all three finals and Jonathan finishing second. Tyronne Wilken managed to secure the last podium spot with some consistent driving. The win gave Pedro his third national title in a row. 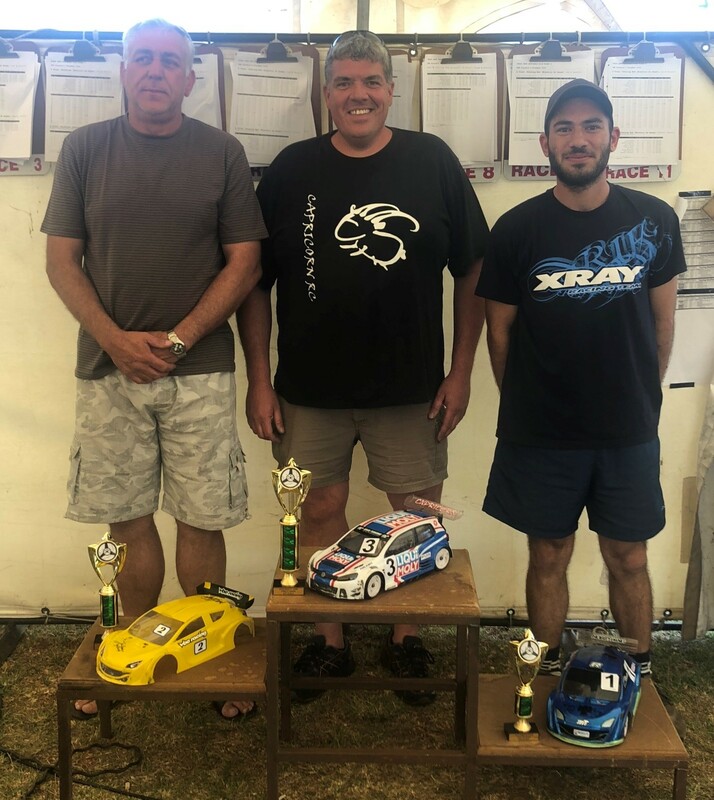 In the small FWD class it was the ‘older’ generation dominating the proceedings after young Tyron Vavatzanidis took the TQ. Tyron struggled to get of the line in the finals which allowed Andre Marias to win two of the finals and Paul van der Westhuizen the third.